SUCELLOG concept is based on the exploitation of the excellent opportunities that agro-industries have to become solid biofuel producers with reduced investment. 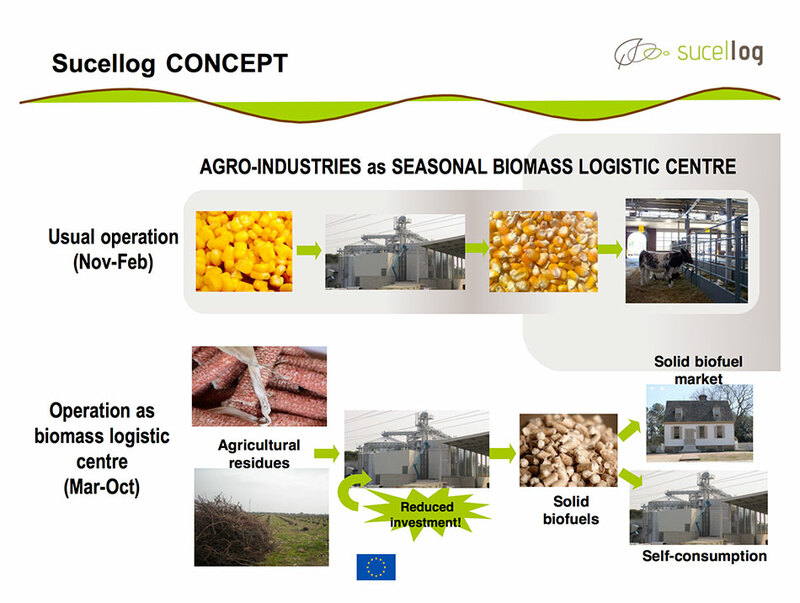 Some agro-industries possess equipment that can be used in the idle period to produce solid biofuels. Agro-industries work seasonally and could diversify their regular activity in the idle period. Agro-industries have experience with organic feedstock and are concern about product quality requirements.